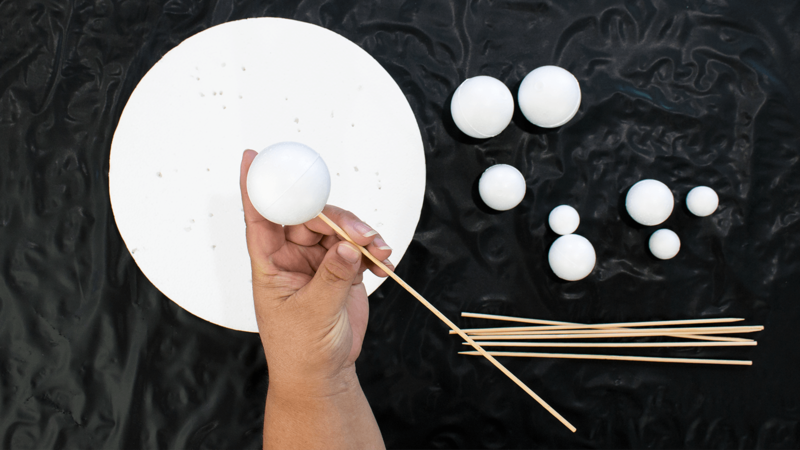 Press a skewer into each foam ball. Insert into a foam base to hold the balls upright. 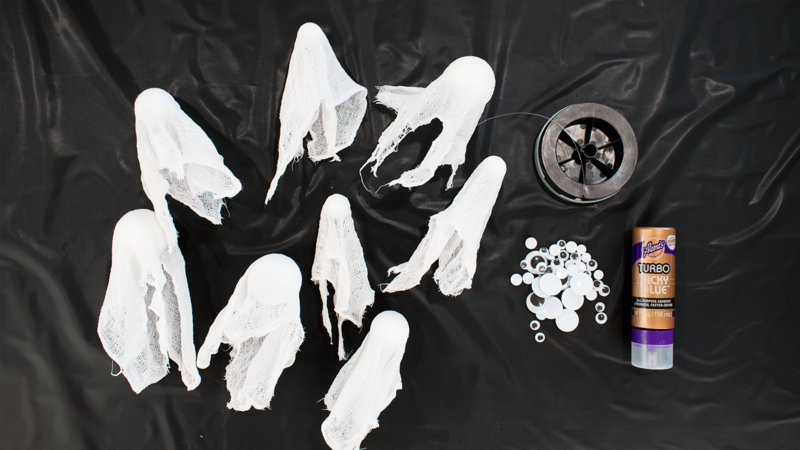 We'll use these to form the ghost but remove them when the cheesecloth and Aleene's ® Fabric Stiffener & Draping Liquid has dried completely. Put on plastic gloves. 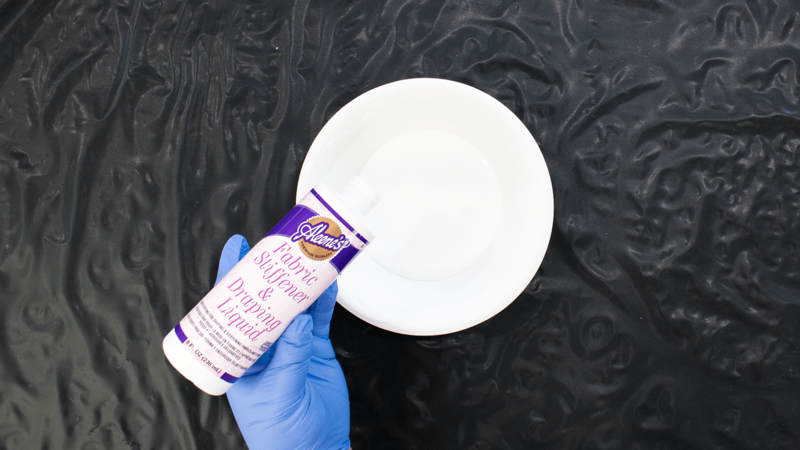 Pour Aleene's ® Fabric Stiffener & Draping Liquid into a disposable bowl. Mix with equal parts water to thin the glue. Cut cheese cloth into squares. They don't have to be perfect. 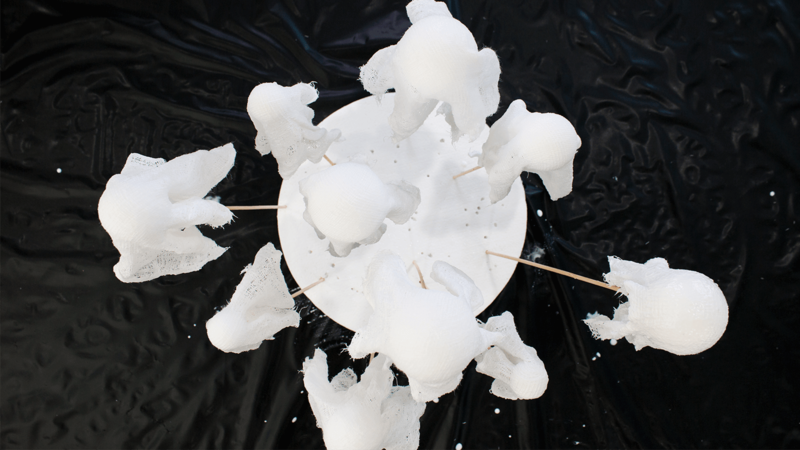 In fact, allowing the edges to fray will give the ghosts a spookier look! 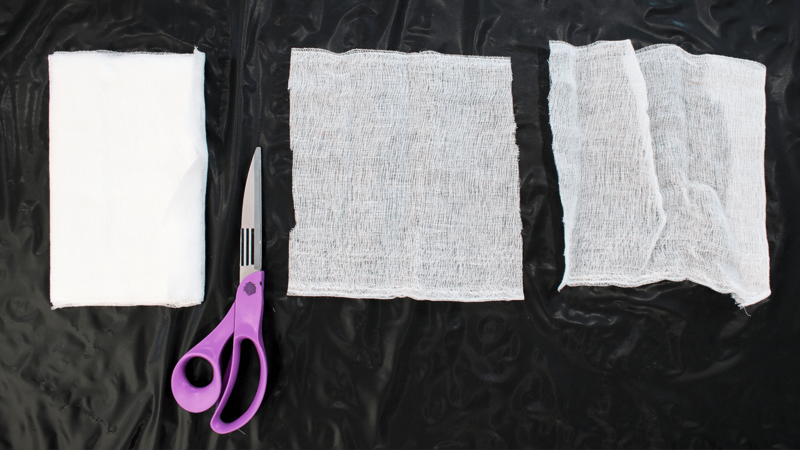 Dip the cheesecloth into the Aleene's ® Fabric Stiffener & Draping Liquid and water mixture. Wring out well. 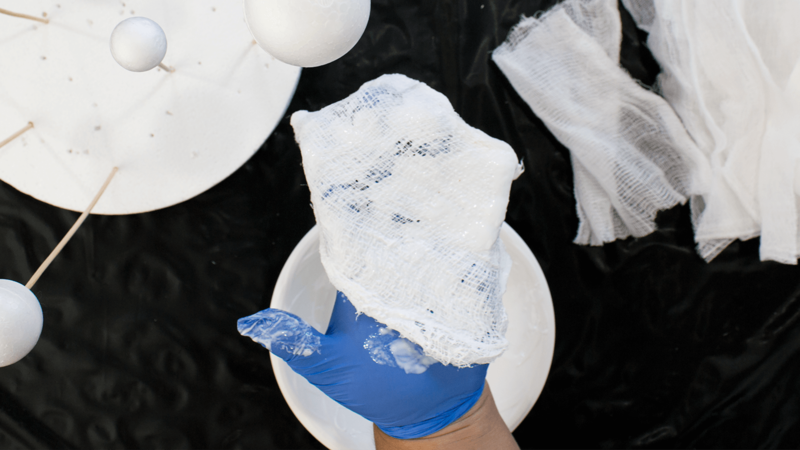 Drape each piece of soaked cheesecloth over one ball. Allow them to dry for 4-6 hours or overnight. Remove the ghosts and balls from the skewers. Gather fishing line, googly eyes and Aleene's® Turbo Tacky Glue® for the next step. 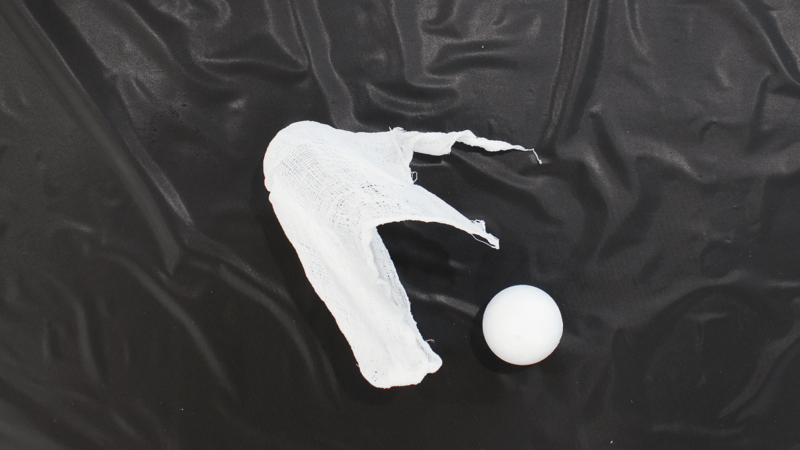 Pry the cheesecloth away from the ball for each ghost. Remove the ball. We won't need these again. 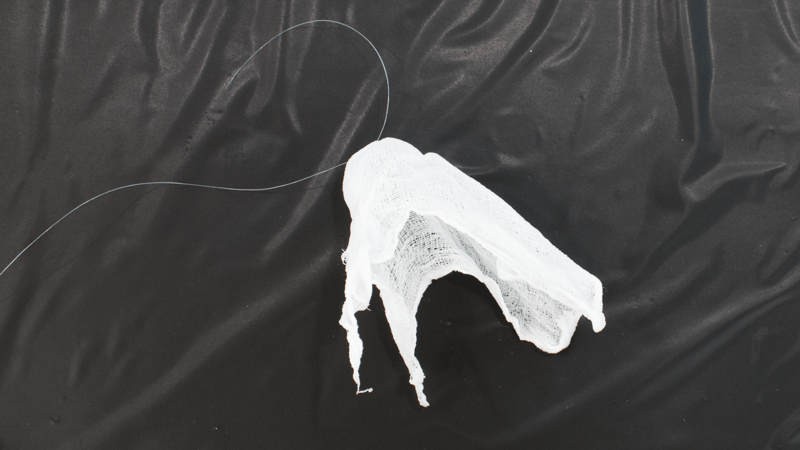 Thread fishing line through the fibers of the cheesecloth at the top of the ghost. Tie off to make a hanger. 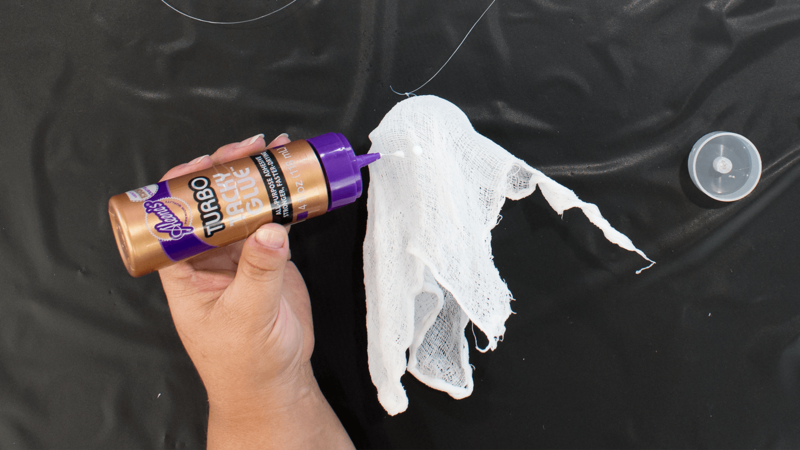 When finished decorating the ghosts, you can tie this line to a chandelier or hang it from the ceiling for a fun Halloween display! 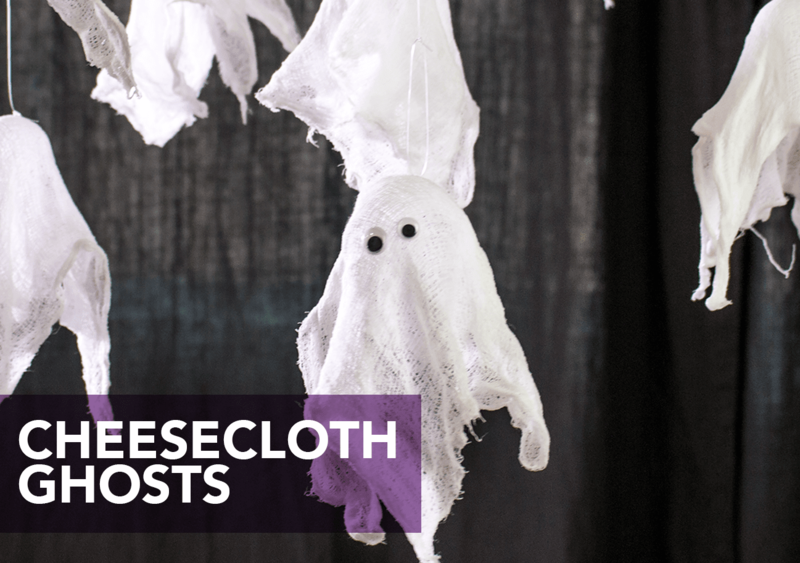 Apply a dab of Aleene's® Turbo Tacky Glue® to the cheesecloth ghost for each eye. 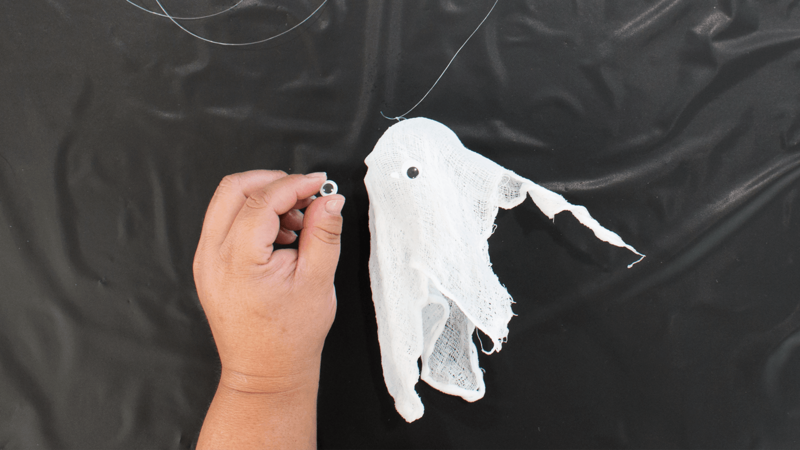 You can draw eyes on the ghost with Puffy Paint instead of using google eyes. Apply eyes to the dabs of glue and allow to dry. Hang and scare!